The investing public might not recognize the company Dine Brands Global Inc. (NYSE: DIN) as easily as some of the more recognizable chain restaurants in America. This company franchises the Applebee’s and IHOP restaurants, and it used to be known as DineEquity until early 2018. If one Wall Street analyst is correct, this company could generate a return of up to 50% for investors. Wedbush Securities has reiterated its Outperform rating and has a $135 price target. That was almost 48% higher than the prior closing price of $91.29, and then there is the dividend that would get this upward of 50% on a total return basis, if the analyst is correct. This stock is also on the Best Ideas List at Wedbush. 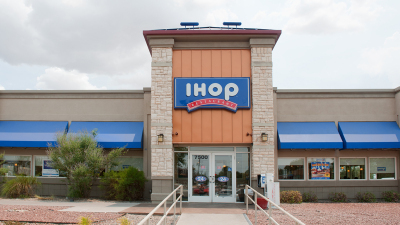 Dine Brands Global claims to have 1,831 IHOP restaurants and 1,837 Applebee’s locations, with both having a presence in all 50 U.S. states. It has moved to almost a 100% franchise business model over time, and it has other locations in 18 countries. Nick Setyan and his team at Wedbush see so much upside coming from their checks into the company’s operations suggesting same-store sales growth slightly above modest investor expectations at Applebee’s and same-store sales growth being largely in-line with expectations at IHOP. The team noted that visibility into 2019’s EBITDA uptick is very high and that 2020 net unit growth is believed to represent a call option for more growth. We estimate that growth in off-premise alone could be enough to get to the low end of guidance. We also believe management’s 2019 LTO [long-term objective] and marketing plan was implemented with a view towards maintaining accelerating 2-year comps in the face of tougher compares through the third quarter. 2020 net unit growth remains a call option. We conservatively model slightly negative net unit growth in 2020 at Applebee’s. However, we believe that once strategic closures come to an end in mid-2019, visibility into flat to positive net unit growth could arrive as early as the fourth quarter of 2019. Share buybacks are touted as another potential boost. The base earnings and free cash flow estimates per share do not really factor in the company’s recently upped repurchase authorization of $200 million. The Wedbush team believes that ongoing repurchases are likely and sizable enough relative to the market cap to make a difference here. Investors may want to take note any time there is a call for upside of 50% in an established company that is already years into its operations. Still, there are many risks in restaurants, and Dine Brands is not considered to be among the more defensive fast-food chains like McDonald’s if and when the next recession or economic slowdown arrives. Investors should also consider that Wedbush is also not just considered to be above-consensus on its target here, ut bit is the street-high among analyst price targets. Shares of Dine Brands were last seen up 1.3% at $92.50 ahead of Monday’s closing bell, with a 52-week range of $61.89 to $101.18 and a $1.6 billion market cap. It has a consensus price target from Refinitiv of $123.75.